Recently, I was asked, “Why do you sing songs about the blood of Jesus in church?” Isn’t it a little bit macabre to sing about blood? I admit, this question jolted me out of my “Christian bubble”. It seems so normal to me. It’s something that I don’t even think about anymore. Today, I’d like to look at some of the many Bible verses that shed light on the importance of Jesus’ blood. The first is from the Old Testament when people lived under the Law of Moses. For the life of the flesh is in the blood, and I have given it to you upon the altar to make atonement for your souls; for it is the blood that makes atonement for the soul. So, why do we talk so much about the blood of Jesus, even celebrate it, and why is His blood so important to us? In order to have salvation, God has given blood a significant role to play in our lives. It has the power to atone for our sin. If there is no blood, then there is no life. Just as it is true that without blood in our bodies we will die physically, the same is true, that without a blood sacrifice we will die spiritually. Not with the blood of goats and calves, but with His own blood, He entered the Most Holy Place once for all, having obtained eternal redemption. Before Jesus came to save us from our sins, people were required to sacrifice animals to atone for their sin. But this redemption was only temporary and another sacrifice was required to stay within the grace of God. This is why Jesus was sent to be our sacrifice. He died once and saved us from our sin permanently. This cup is a new covenant in My blood, which was shed for you. When Jesus died on the cross a new covenant between God and people was formed. We no longer live under Old Testament law and we no longer need to sacrifice animals for our sins. Our salvation comes from the blood sacrifice of Jesus, because His blood has the power to save us eternally! For by one offering He has perfected forever those who are being sanctified. Because Jesus is perfect, His sacrifice is also perfect. It doesn’t need to be repeated over and over again. It is His selfless sacrifice on the cross that gives us salvation of our sins and eternal life with Him. His blood is the only way to salvation. All you need to do to have this salvation is, to believe that Jesus is the Son of God, that He died for your sin and accept Him as your Savior. He has already done the rest! If you are not a believer in Jesus yet, then I pray that you will understand His great love for you and the sacrifice He made for your sins on the cross. If you have questions concerning what it means to accept Jesus as your Savior, please click on the Accepting Jesus tab at the top of the page. I hope that you will find the answers to your questions there. I also encourage you to talk to a minister at a church in your area. They will be happy to explain anything that I may have left out. If you are saved, then I rejoice with you that your sins are forgiven and washed away by the blood of our Savior, Jesus! I hope that you will be encouraged and uplifted today by a reminder of what Christ has done for you. I love lists! I love them so much, I make one almost every day. And I love the feeling of accomplishment I have when I can cross out that “big” thing on my list. Usually my to-do list includes ordinary things like grocery shopping, returning phone calls, answering emails, running errands, etc. with a few occasional “big ticket” items thrown in for good measure. But there’s one thing that lately hasn’t made its way onto my list, a quiet time with God. Okay, so I admit it, I’m not perfect. But I’m such a perfectionist! Still, I struggle. Probably with the same things you struggle with too. Recently that struggle has been a lack of motivation to spend time with God every day. My heart just hasn’t been in it. There’s an ebb and flow in life where things are good for a while and then all of a sudden everything seems hard. Right now, I’m going through one of those hard times. I’m still recovering from a low back injury and in a lot of pain. Even the smallest task seems difficult. My house is a total wreck. Everything that could break is broken and everything that could go wrong has. I’m falling so far behind on everything, that my to-do list makes me want to freak out. Plus a million other excuses that don’t mean much, because that’s all they are, excuses. 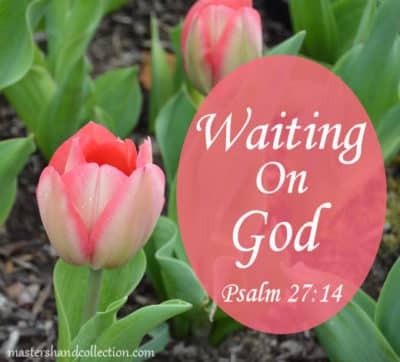 Knowing God and His will for our lives is the only way we can ever truly get ahead. And spending time with Him and applying His Word to our daily lives is what grows our faith. God doesn’t ask much from us. And He promises to give us so much in return. In every relationship there are ups and downs. But we can’t have a relationship with someone we never spend time with. It takes commitment and follow through on our part to make it happen. The great thing is, God hasn’t gone anywhere. He’s exactly where He was before. He doesn’t change. He is constant. He is faithful. Even when I am not. I want to be like that tree, firmly planted by the river. And I want to be firmly planted in God’s Word. So, I am committed to growing my relationship with a God who loves me and wants to see me prosper in His ways. 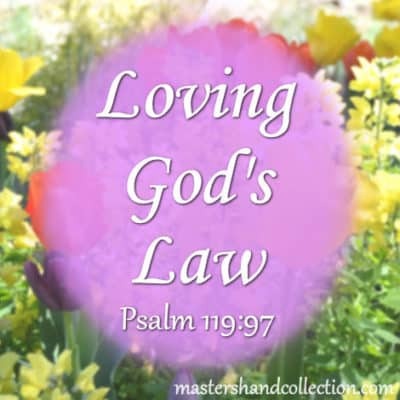 I know the only way to get there is to “delight in His law” (the Word of God) and make my time with God a priority every day. So, I began by praying and asking God to return the joy of reading His Word to me. At the same time, I also began searching for a Bible study that would speak to my heart as I started my devotions again. Slowly, God has restored my love of His Word to me. The more time I spend reading the Bible and listening to His wisdom, the more I understand who God is and how much He loves me. And the more time I spend praying and seeking His face, the closer I feel to Him. I love God more than anything and I know that He loves me even more. 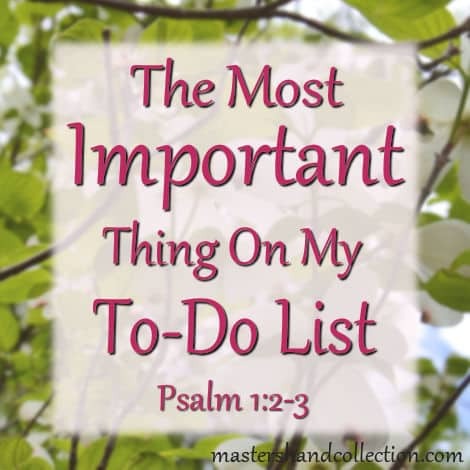 So, I am fully committed to making my time with God the most important thing on my to-do list from now on! And I hope that you are too. If you are struggling to spend time with God every day, then I want to encourage you. The investment you put in today will be repaid tenfold. When you began to spend time with God you will see His blessings in your life the same way that I have. You will become like a tree firmly planted by the rivers water. And everything you do will prosper. You can begin the same way I did, by praying and asking God to give you joy and knowledge. Then find a Bible study that speaks to your heart or just start reading the Bible. Any book in it is a great place to start. I think you will be surprised by all of the wonderful things God has in store for you. God Bless!